Season short ribs with a good liberal amount of salt and pepper. In a large heavy skillet, add the neutral oil over high heat. Once hot, add ribs and brown on all sides. Remove ribs once browned and turn heat down to low. 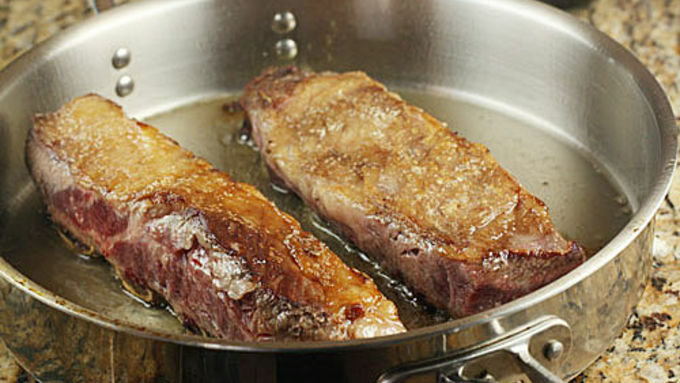 Add Beer (porter works great) to pan and scrape up any bits that are stuck to the pan. Add all ingredients to crock pot except the flour and butter. Pour the beer over the ribs from the pan and also add enough beef stock (or water in a pinch) to just cover the ribs. 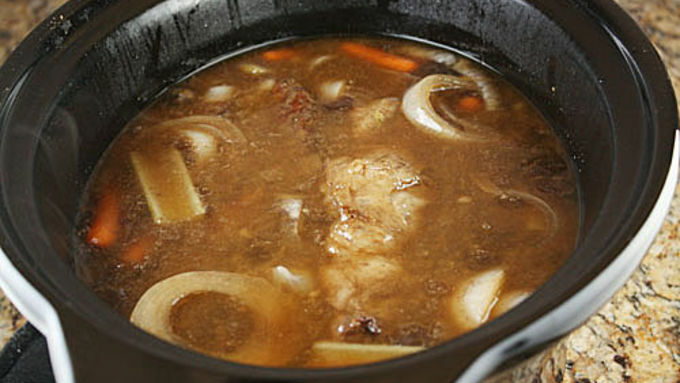 Cook this on low for 8-9 hours in the crock pot. You can go longer if you want or need to. The ribs are done when they almost fall off the bone when you pick them up. Once your ribs are done, cover them with a lid and let them sit in the fridge overnight or for a few days. You can skip this step and make the ribs immediately if you want. If you want to make them immediately, try to skim off as much fat as you can from the liquid or use a fat separator. Then continue with the prep. When ready to serve ribs, skim off top layer of fat that will have solidified over ribs. Pull ribs out and set them aside. Strain leftover sauce through a mesh strainer. Discard all the veggies, but keep the sauce! Chop ribs up into one rib segments. Try to keep the meat on the bone. Some will fall off though. 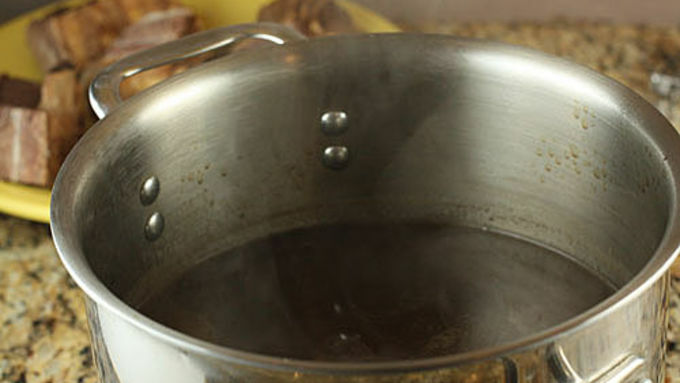 Add sauce to a large pot and set over medium-high heat. 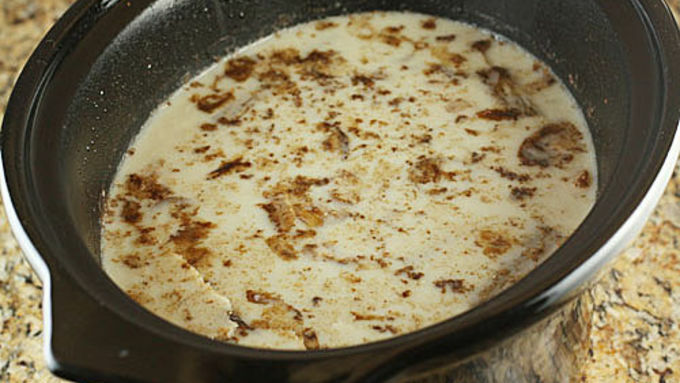 Bring to a boil and simmer, uncovered for 15-20 minutes. In a small bowl, mix together butter (room temp) and flour until it forms a paste. Whisk this paste into the simmering sauce. This should thicken the sauce a bit. Continue to simmer for another 20-30 minutes until the sauce reaches desired thickness. 5-10 minutes before you are ready to serve, add all the ribs into the pot with the sauce to heat them up. Serve ribs and sauce over egg noodles or mashed potatoes! If you ever want to impress someone, serve them these. It's one of those magical dishes that takes a long time to make. That makes people think it's a lot of work, but this recipe is actually dead simple. I make this dish for my wife every time I get in trouble or if she's just generally in a bad mood (which is rare, thank goodness). I get to pretend that I've been toiling away for days--when in reality I probably work for about half an hour on the dish. Making a salad is almost more work. Honestly, the hardest part about making short ribs is finding short ribs. Unfortunately, they aren't a frequently used cut of meat, which means a lot of grocery stores don't carry them. You may have to call around a bit, but eventually you should be able to get your hands on a few pounds of them. I always encourage people to buy the best beef they can find and afford. 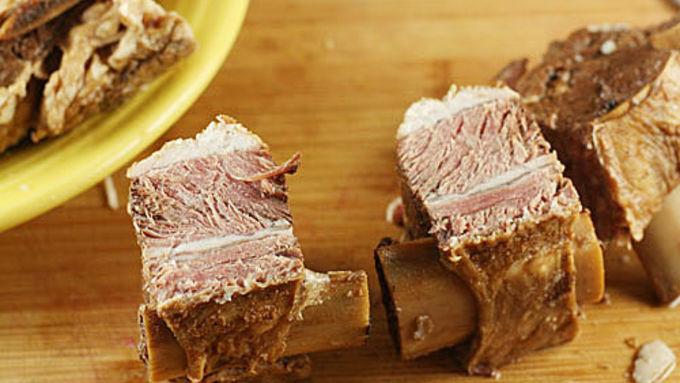 Short ribs are also a very cheap cut of meat so you should be able to get the cream of the crop. The beauties in this post only set me back a few bucks a pound. If you don't happen to have a crock pot or slow cooker, you can definitely just braise these same ingredients in a Dutch oven. Instead of the slow cooker, cook them (covered) in the oven at 300 degrees for about 4 hours and you should get the same results. But I'll assume you have a slow cooker for this post. Once your ribs have been cooking for about 9 hours (like, when you get home from work), turn off the heat, cover them, and let them cool. Then stick them in the fridge overnight or for a few days. Letting them sit will do two things: 1) It will make the ribs really flavorful by letting them stew in the sauce for a day or so. 2) It will make it easier to skim off the fat on top of the liquid because it will be solidified. Now, you don't have to do this. You can definitely skip it and just finish the ribs the same day. If you do that, try to skim off as much fat as you can and then continue with the recipe. You could serve these guys over egg noodles or mashed potatoes. I actually served mine over a mashed root vegetable mixture (celery root, parsnip, and turnip). So there you have it! 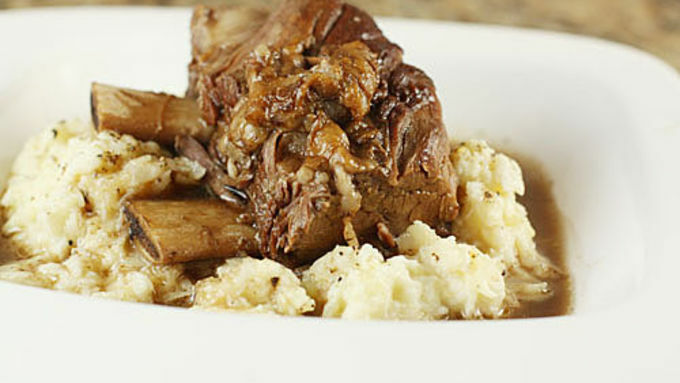 Crock pot short ribs! It takes a day or two but if you add up the time that you're actually working on the dish, it's probably 30-45 minutes. 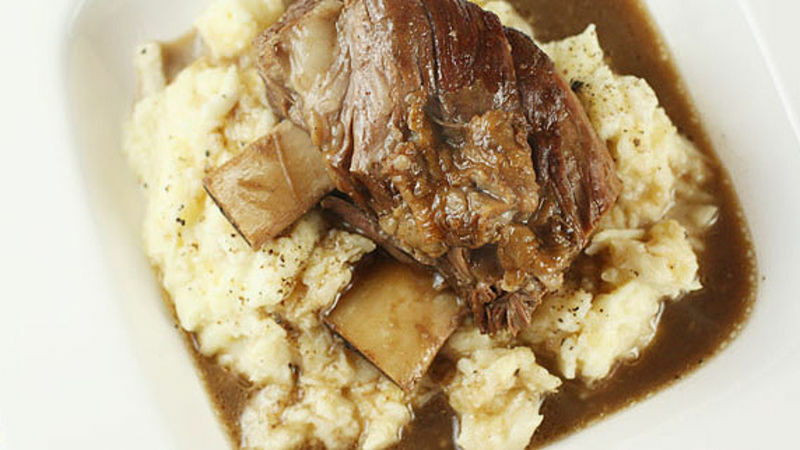 As an aside, you could make as many short ribs as your crock pot can hold. I think mine would've maxed out around 4 pounds, but I only made half that. Give this dish a shot and impress your guests!